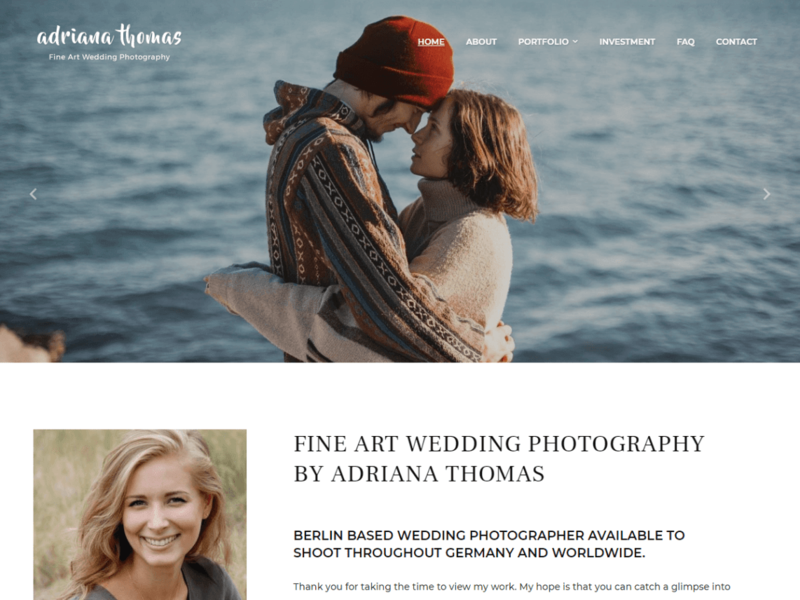 PhotoFrame is a beautiful and free Photography WordPress theme for fine art, bridal, family, portrait and wedding photographers that need a stylish website focused on delivering a great experience. A great deal of effort and attention went into making PhotoFrame a theme that will surprise you with its style and features. A full-screen hero slideshow will present your photos with minimal distractions. Post thumbnails are portrait-sized (1:1,5). Some notable features: 1. The logo automatically switches from dark to light depending on the brightness of the hero image. 2. The header comes in two layouts: default (logo on the left, a menu on the right) and centered (menu under the logo). 3. A sticky menu that elegantly sits at the top of the page when visitors scroll. 4. Three widgetized areas in the footer.